If you Google Texas Jack you’ll find it was a rather popular moniker adopted by several men out west after the Civil War. A war that pushed many otherwise law abiding men across the line between riding the outlaw trail or living a respectable life. here as time goes by and I find my purpose in continuing to blog. This man’s name was Nathaniel Reed, but in his autobiography, The Life Of Texas Jack – Eight Years a Criminal – 41 Years Trusting in God, he readily admitted that he was the notorious Texas Jack, who for eight years rode the outlaw trail. Nate wasn’t born bad, he sort of fell into the life by being in the wrong places at the wrong times. He was born in 1862 in Madison County, Arkansas near St. Paul. Like many youngsters born in the Civil War years, he had a rough childhood. Two years after Nate was born, his father died, a casualty of that bloody conflict. His mother remarried William Cochran and had several more children. Nate had one full-blood brother, William Elijah. His step-father was said to have been kind to him until after Nate’s mother died and he remarried a woman with thirteen children. Then he turned cruel. At the age of thirteen, a miserable Nate left home, stayed with his aunt a while, then with his grandmother for four years. Soon after Nate turned eighteen, he went back to Missouri to be with his brother William. So far he’d remained law-abiding, but Nate was about to make a decision that would send him on the outlaw path. He worked on a farm where he heard lots of tales about the wonderful adventures and great opportunities in the far west. Not yet twenty years old, he took off in search of his dream. The spring of 1883 found him roughing it out on the prairie near Pueblo, Colorado where he worked on a horse ranch drawing $40 a month. Unhappy with that job, he quit and caught a train to Colorado Springs. From there he moved on to Cheyenne, Wyoming where he got a job driving a ten-mule-team military freight wagon. He was to drive three hundred miles to deliver supplies to Fort Arnold. The Indians caused a lot of trouble and the soldiers had several skirmishes with them. It took six weeks to make the round trip back to Cheyenne. Nate had enough of that life and drew his pay. Over the next year he worked in a coal mine in Rock Springs, Idaho making $3.65 a day, but left after he got into a squabble with a Chinaman who called him a vile name. Nate hit him over the head with a lump of coal. That upset the Chinese workers so badly that Nate feared for his life. His employers hid him out until dark, provided him with a disguise and put him on the train for Denver. Step by step he moved ever closer to the life of an outlaw. He worked on a cattle ranch until the spring of 1884, then backed out of a deal where he would have to join a Mexican gang and steal some horses, and went to Texas where he helped drive a herd of cattle into Oklahoma. Sometime in 1885 Nate was finally led astray. He was working for the Flying “V” Ranch near El Reno, Oklahoma. Thirteen of the ranch hands were picked to leave camp and go on a roundup. Nate was one of them. They took two days rations, but after the food ran out they were still riding away from camp and no cattle were being rounded up. On the evening of the fourth day the crew was lined up at gunpoint, given ammunition and assigned their duties in a planned robbery of the Santa Fe Express. 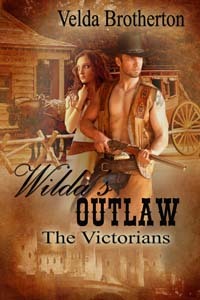 According to Nate’s autobiography, he was forced into his outlaws ways and had little choice. His job was to stand on the rear platform of the last coach, kick on the door, shoot and yell. He claimed that only the safe was robbed and all the passengers were allowed to keep their valuables. Back at the camp, he was given his share: $6,480.00. That was a lot of money, so he was terrified at having committed such a large crime. He quit his job, a guilty conscience chasing him to a small out-of-the way place called Corbin, Kansas. He deposited $6,000 in the bank at nearby Caldwell and hunkered down, determined to remain out of the outlaw life. Sure enough Corbin provided a respite for this outlaw. He married, went into the livery business and made friends. He appeared to have shrugged off his past. In July of 1886, a man rode into the livery stable. He was on his way toWichita to see if he could help Tom Colley who had been arrested in connection with the Santa Fe Express robbery. He threatened to turn state’s evidence if he didn’t get out on bond. Nate found out that Colley hadn’t made bond and was set to name all the participants of the robbery. Terrified of going to prison he left his young wife weeping and rode away. But he missed her so badly, that three months later he sneaked back into town to gather her up and they relocated to another state. He only managed to escape the outlaw life until 1888 when a messenger found him and gave him an ultimatum. Join a gang of outlaws or be snitched on. He would go to jail for the Santa Fe Express robbery. He’d been found and saw no way out. The gang was short of men because some of them had been killed. He figured he could join them and maybe later escape their clutches. That was not to be and the gang began committing robberies all over the west. A stage in Colorado, and a train near Phoenix. He went to Tennessee for the winter. By spring he was in Dallas, Texas, then rejoined the gang in Michigan where they managed to stay out of sight for about a year. The gang planned and executed a robbery, and as they rode away, Reed was shot by US Marshal Bud Ledbetter. On the run and suffering unbearable pain from his wound he was left behind for the night by his partners. He gave them some of his loot, and kept the rest of it in a sack to use as a pillow. He lay on a blanket huddled under a rock ledge until he was found by an Indian woman. She nursed him back to health. Like Westerns? 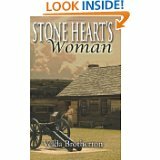 I have a six-part western historical romance I’d love to share with you. The Montana Series begins at the end of the Civil War and covers the years that follow when the west was at its pinnacle. 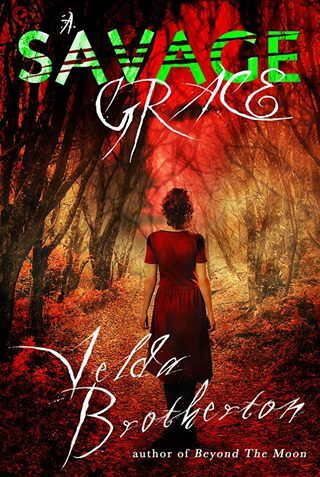 Excitement, adventure, love and revenge . Check them out on Amazon.